Paper Daisy Crafting: And more Merry Mistletoe from Stampin' Up! 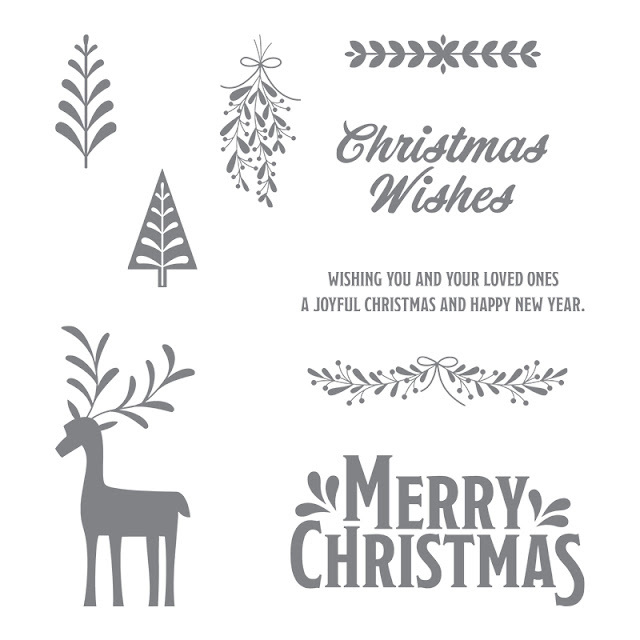 And more Merry Mistletoe from Stampin' Up! I hope by now you'll have realised that I really LOVE this stamp set. I just can't stop playing with it. Today's card is a bit of a variation on yesterday's but in a more unusual colour combination. 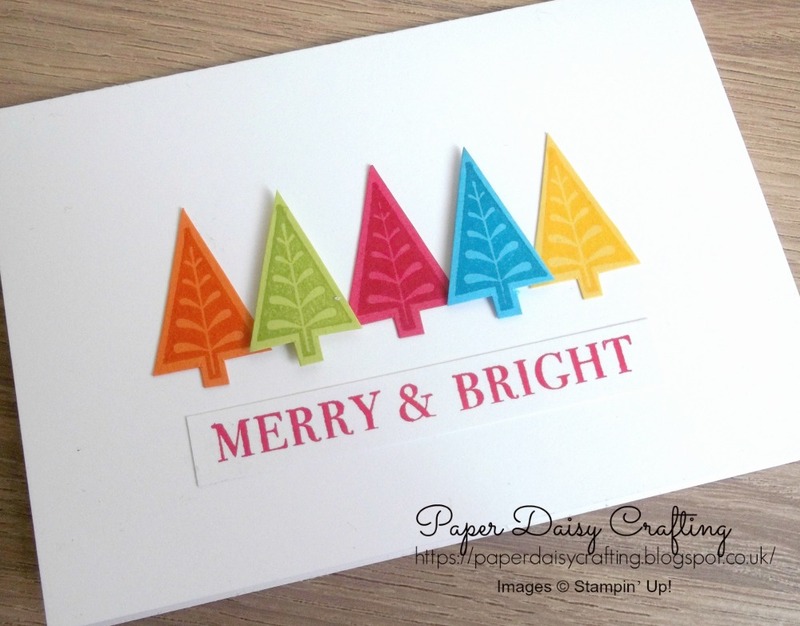 This time I've stamped the trees on an assortment of bright colours with coordinating inks and used the "Merry and Bright" greeting from the "Hearts Come Home" set. Some people might be shocked that I actually cut up the stamp so that I could position it horizontally, but I am quite happy to do that if it means the stamp can be more versatile. I wonder what you all think of this card? I have a feeling that it might be a case of "Marmite" - you'll either love it or hate it. I'm definitely on the "love" side. In fact this might be the card that I reproduce en mass to send as my card this year. 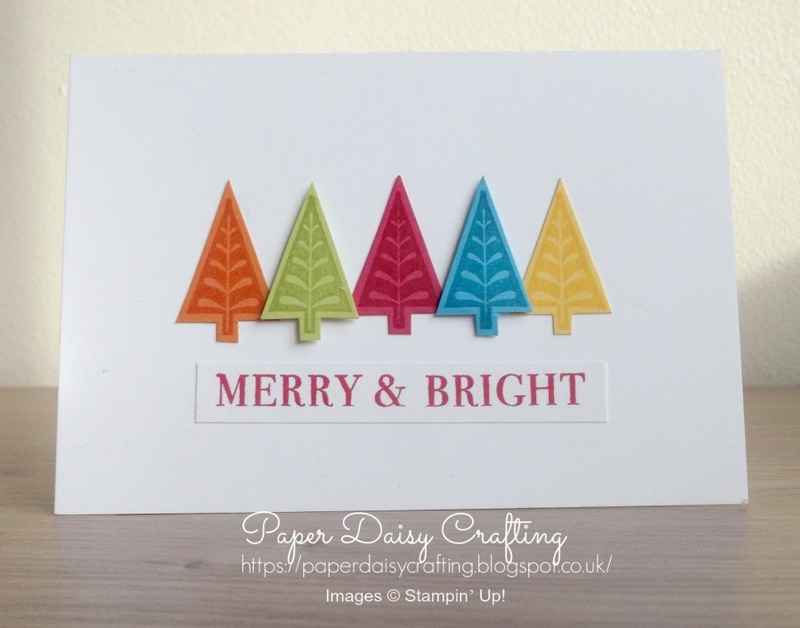 I'll be back tomorrow with more - if you haven't made a start on your Christmas cards yet, now would be a great time to start!